It’s the new rock and roll without any doubt, you don’t have to be vegan to want your skincare and beauty products to be vegan and cruelty free. 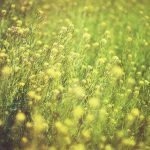 Right in time for Mother’s Day here’s some suggestions for cool skincare and beauty products that just so happen to also be vegan. I am a big fan of Dr Bronner’s Rose liquid Pure-Castile soap. 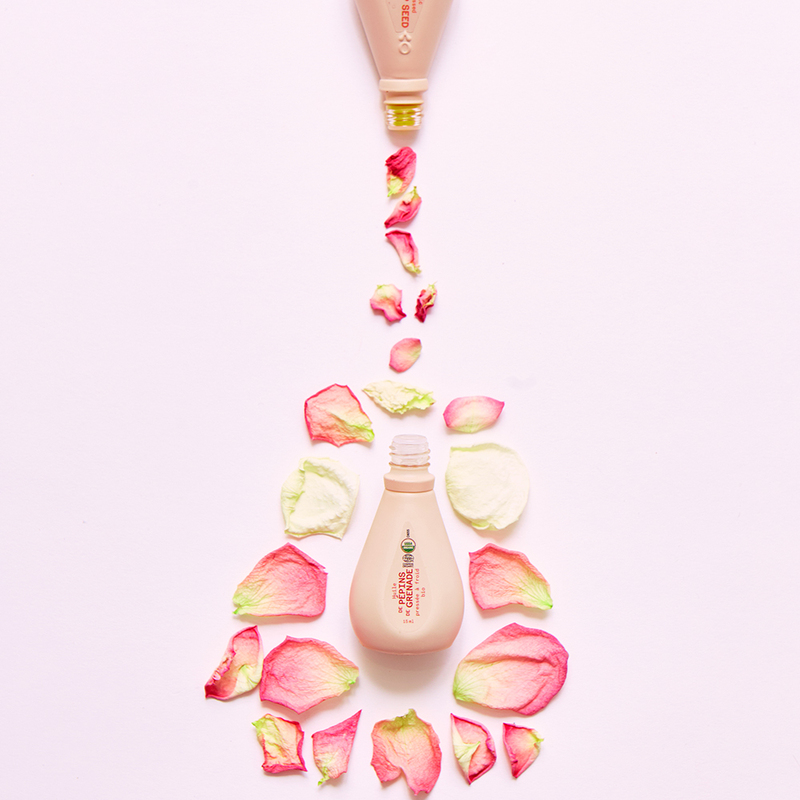 Floral and fresh, with a hint of sweetness, the Rose Pure-Castile Liquid Soap is beautifully blended with natural essential oils that can’t fail to not only keep the skin soft and smooth, but also to soothe the senses. Famously loved by many leading celebrities and VIPs including Meghan Markle, Dr. Bronner’s 18-in-1 Pure-Castile Soaps, the best-selling natural soap brand in the USA, are the ultimate cleansing multi-tasker. So natural and gentle, you can use it to clean your face, body, your mouth & teeth, your fruit & vegetables, your bathroom and kitchen, your clothes and even your pets! The soap contains no synthetic foaming agents, thickeners, preservatives, fragrances, dyes or whiteners and use 100% post-consumer recycled (PCR) cylinder bottles and paper labels. Completely biodegradable, it is made with certified Fair Trade and organic ingredients sourced from India, Ghana, Palestine, Israel, and Sri Lanka. Dr. Bronner used the labels of his soaps to scribe the philosophy, proclaiming that “We are All-One or None!” The family-run business practices its founder’s vision by continuing to make socially & environmentally responsible products of the highest quality, and dedicating the profits to help make a better world. Perfect for sensitive, easily inflamed or generally out of kilter. This is your recipe gorgeous, glowing, radiant skin. Chia seed & sea buckthorn are blended together to deliver high levels of essential fatty acids, vitamins & antioxidants – it improves skin’s elasticity, calms inflammation & restores radiance. 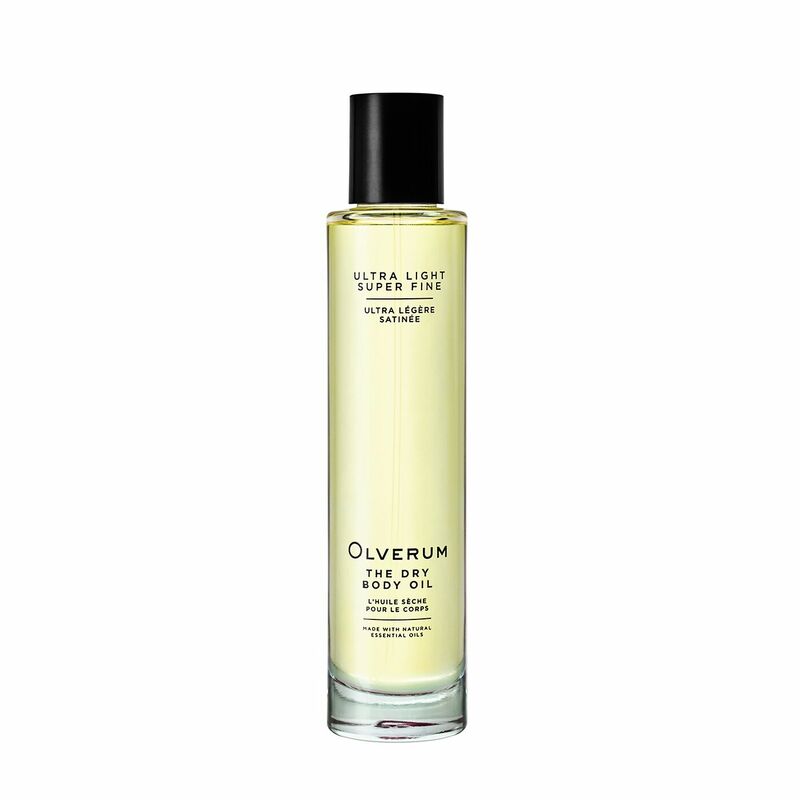 Check out the unique Dry Body Oil from Olverum its ultra light and super fine. This lightweight, breathable, therapeutic dry oil spray is ideal for on-the-go use. Absorbing almost instantly, it rapidly restores skin barrier function, to promote lasting natural skin hydration. Crafted with Alaria Esculenta Extract to boost the synthesis of Collagen and Hyaluronic acid, helping preserve skin’s firmness. Balmonds (formerly Pure Potions) have a great range of natural skincare for sensitive skin. The oils and creams are all suitable for vegans and cruelty-free, as well as being natural and free from perfumes, parabens, petrochemicals and other harmful synthetics. Try the Daily Moisturising Cream. 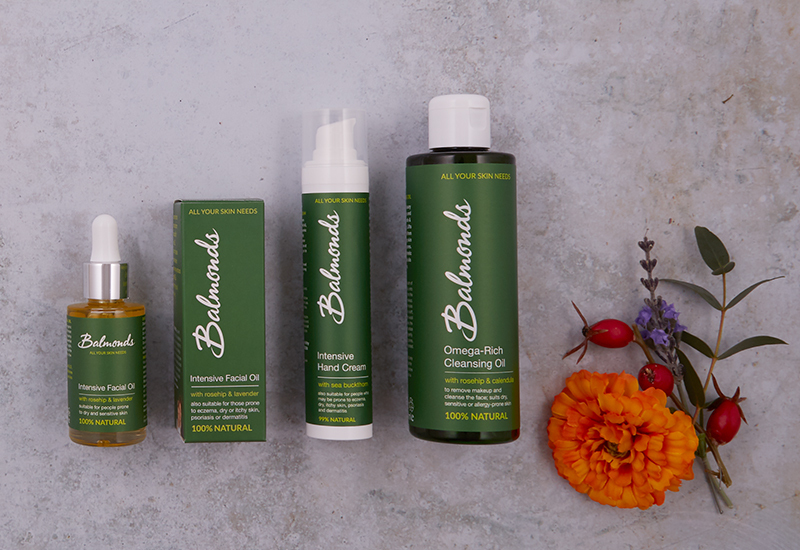 Intensive Hand Cream, Intensive Facial Oil, Bath & Body Oil, and Omega-Rich Cleansing Oil as great vegan products to treat yourself or your mum to! Skin Shop’s KALME Chameleon Concealer is vegan-friendly and it’s award-winning gentle, tone-matching formula makes it suitable for the most sensitive of skins. 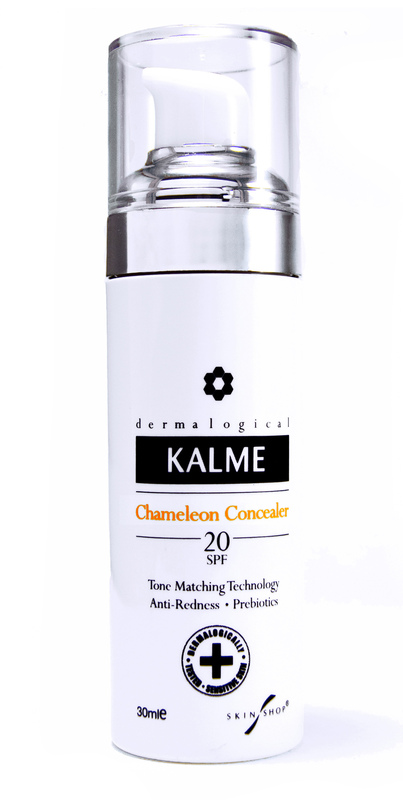 It’s a tone-matching ‘chameleon’ concealer for red and sensitive skin with soft-focus technology, prebiotics and SPF. Chameleon Concealer also contains patented ‘Soft Feel’ technology which creates a soft focus appearance and ultra-smooth finish to even out the appearance of bumps and blotchiness. It doesn’t just cover up, it also treats symptoms of red skin and rosacea via a basket of naturally active ingredients. 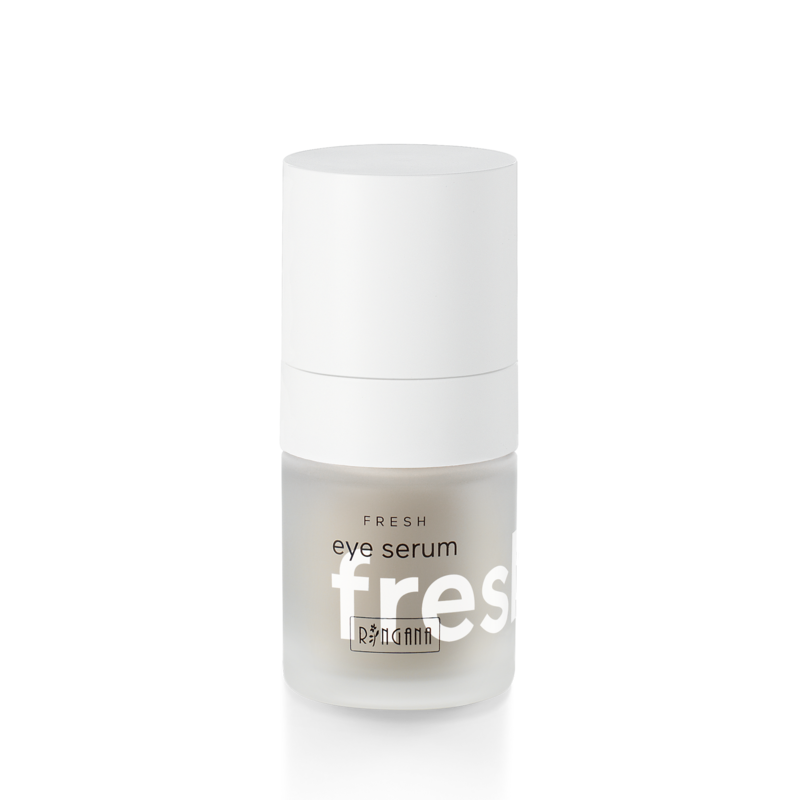 It’s free from parabens, perfumes, MI and SLS and contains only naturally active ingredients formulated for use on very sensitive skin. Another brand new to me RINGANA has revolutionised the skin care and food supplement industry, and has recently presented its unique concept in the UK. All products are vegan, cruelty free, free from chemicals and are found in eco-packaging. The glass bottles are refillable, and the plastic bottles are made from sugar cane. Powerful intensive care for better skin condition. High-quality, natural substances and plant extracts smooth and firm. Quickly absorbed by the skin, the serum hydrates, increasing firmness and elasticity. .
And now to ayurvedic skincare Ayumi naturals is a range of skincare products perfectly suited to combat skincare issues. 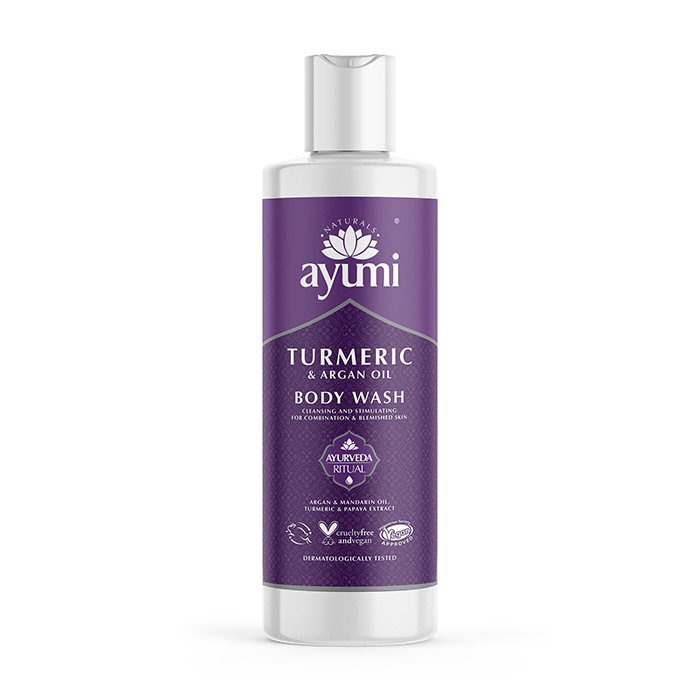 The Ayumi Turmeric & Argan Oil Body Wash is a nourishing and moisturising skin-care saviour that will make bath and shower time a luxurious experience. Lightly scented and packed full of natural ingredients to ensure your skin is cleansed and dehydrated skin is kept at bay. Inspired by the tropical beaches of Sri Lanka, Coconut Merchant’s raw, organic, cold pressed, extra virgin coconut oil is a beautifully fragranced balm that’s perfect for all your beauty needs. It’s extremely hydrating properties make it a perfect moisturiser that softens and nourishes skin. 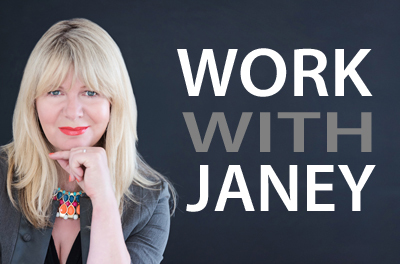 And it’s amazingly versatile – it’s great to use as a hair mask, lip balm, natural deodorant, makeup remover or even for oil pulling to keep teeth and gums healthy. 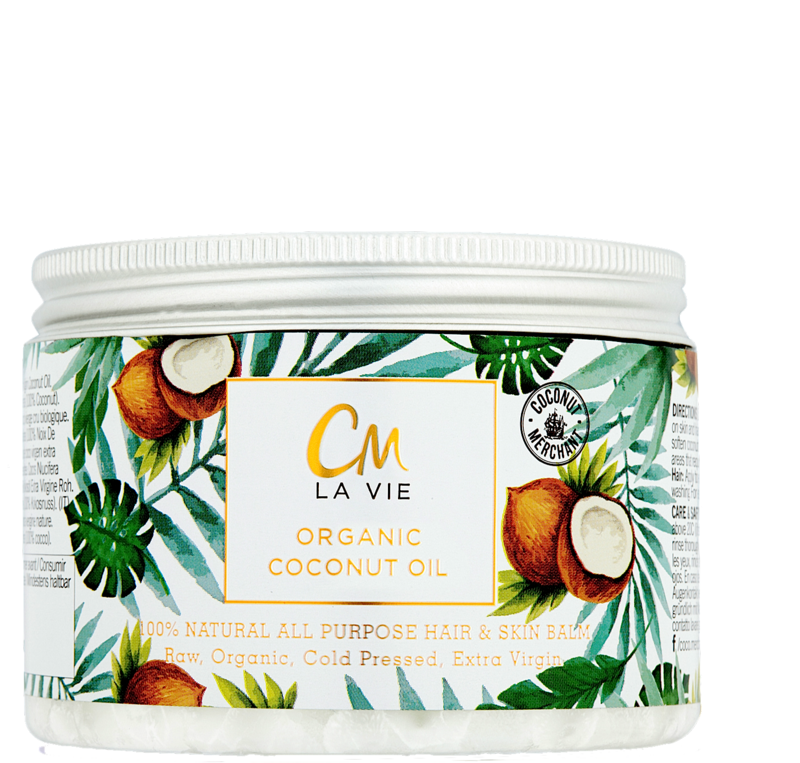 100% natural, this premium quality coconut oil is ethically sourced, vegan-friendly and free from any nasties. Due to its purity, this product is also completely edible, so a spoonful can also be added to herbal tea or coffee for extra nourishing power, inside and out. 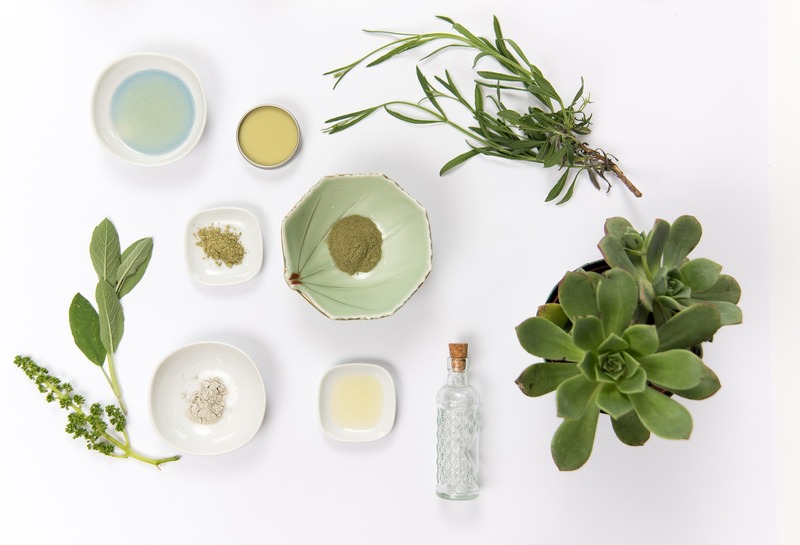 Evolve Beauty, are an organic and natural beauty brand based in Hertfordshire, where their team of artisans create wonderful beauty products by hand! 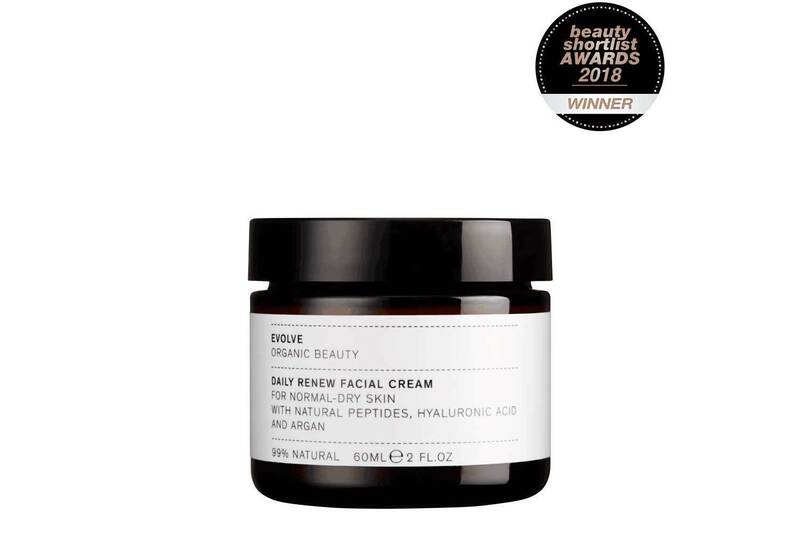 For spring skin give it a boost with award winning Daily Renew Facial Cream packed with activeorganic ingredients and vitamins. This face cream has the ability to intelligently adapt to all skin types . Finally if mum is vegan she may want a little nutrient boost, check out the excellent oral spray from Better You. Vitamin B12 – a critical nutrient, vitamin B12 supports energy levels, reduces tiredness and fatigue and aids concentration. However, unlike some B vitamins, B12 is not found in any plant food other than fortified cereals which makes it difficult for those following a plant-based diet to get the necessary amount. 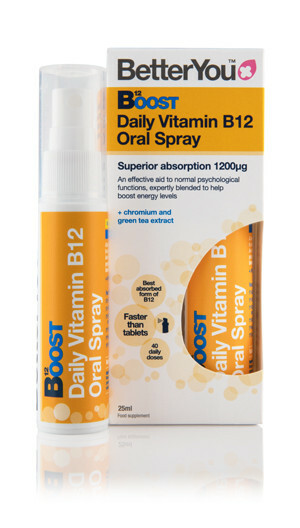 With a research review suggesting that vegans should consume 6mg of supplemental B12 daily, the new Vegan Health Oral Spray contains 6mg of vitamin B12 which is an equal combination of methylcobalamin and adenosylcobalamin, ideal for bioavailability and utilisation within the body. This elegant beauty duet gift set contains Nourish London Radiance’s Illuminating Face Shimmer (5ml) for a beautiful glowing complexion and Nourish London’s Radiance Rejuvenating Peptide Serum (5ml) to revitalise, brighten and enhance the skin’s natural luminosity, presented in a sleek reusable aluminium tin. It is the perfect travel size vegan and organic gift for beauty on the go this Mother’s Day!